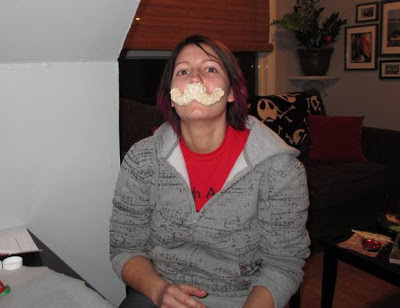 Stretching the One Income Dollar: Kellogg's And Christmas Rice Krispie Treats! Kellogg's And Christmas Rice Krispie Treats! Received another fun kit from Kellogg's - The Christmas Rice Krispie Treats! I always have fun reviewing silly things like this with my boyfriend Chris. It's a fun way to spend the evening/afternoon making something together. 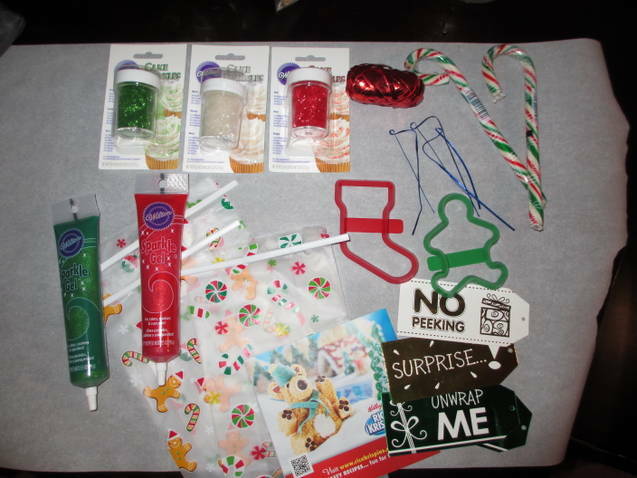 The Christmas Kit included a box of Rice Krispies, marshmallows, cookie cutters, sparkle decorating gel, cake sprinkles, gift bags/tags and candy canes. We easily whipped up the Rice Krispie mix, using the recipe on the bag of marshmallows and divided the mixture up, adding green and red food coloring to some of it. The kit also came with some ideas for making Xmas-y themed treats and we found other ideas from the Rice Krispie website. Many of the ideas used licorice strings or fondant, which we didn't have, but we made some pretty cute treats without it! Rice Krispie Treats are such a cheap/quick snack to make at anytime, and with all the Xmas add-ons, we had a blast making these ones. For some reason I made everyone's eyes red (we only had two colors of Glitter Gel!) and I figured they all needed angry eyebrows to go with the red eyes! 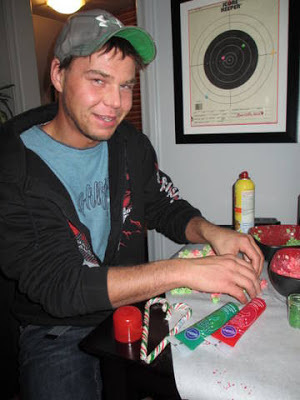 My favorite creation was what I thought was Chris' "Christmas Zombie" but turned out that he was trying to make "The Grinch!" The "presents" were super easy to make and could have also been done by making a pan of Rice Krispies and cutting them up into squares, then decorating. And the same tip from a previous post- if you are going to be using your hands to mold your designs, spraying Pam on your hands works great to keep everything from sticking to yourself! Unless you WANT the Rice Krispies to stick to yourself like I did with my Krispie Moustache! 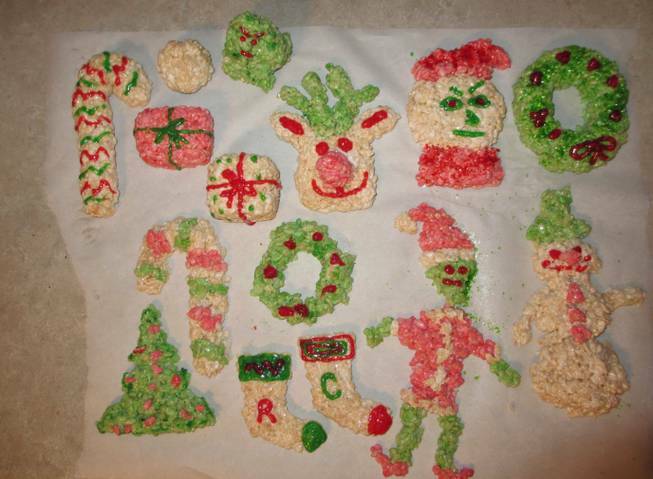 Have fun with your Christmas baking and think of Kelloggs when making holiday treats this year!